Come by studio to sign up! Modern dance is a more relaxed, free style of dance in which choreographers use emotions and moods to design their own steps, in contrast to ballet’s structured code of steps. It has a deliberate use of gravity. Because of the common history, the two forms (classical ballet and modern) share a similar terminology and structure. 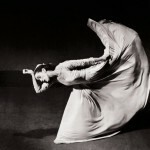 Modern dance is a term that applies to a variety of different disciplines, all with subtly different techniques, that responded to the imperialism of ballet through varying, culturally specific catalytic factors. Jaime Brennan began formal dance training at the age of ten. From 1987 to 1993, she studied and performed classical ballet and jazz dance with Miller’s Dance Studio in Aurora, Colorado and with Michelle Latimar’s Dance Academy in Englewood, Colorado. After moving to the Southwest in 1993, she continued her ballet training and began studying modern dance in El Paso, Texas with The International Dance Theatre. Mrs. Brennan had the wonderful opportunity of participating in a variety of productions at the Chamizal National Memorial in El Paso, Texas and performing with The International Dance Theatre’s Holiday Gift Program, which toured community organizations such as nursing homes and youth centers.While in high school, Mrs. Brennan studied choreography and was given numerous opportunities to create and perform on a regular basis. After moving to Las Cruces, NM in 1996, she continued her love for choreography and modern dance as a member and Vice President of NMSU’s Dancer’s Unlimited. Mrs. Brennan performed and choreographed with Dancer’s Unlimited for five years in annual productions and community events such as The Renaissance Faire. After graduating in 2001, she has had several opportunities to teach modern dance classes and guest choreograph for Dancer’s Unlimited. More recently, Mrs. Brennan led dance-based fitness classes as a certified Jazzercise instructor from 2003 to 2010 in Las Cruces, NM. She enjoyed the variety of dance styles, while at the same time helped to encourage women achieve their fitness goals. She currently teaches dance for elementary children at the Mesilla Valley Christian Home Educators co-op and choreographs a variety of semester performances. In 2010, Mrs. Brennan returned to classical ballet training with the Royal Academy of Dance under the instruction of Veronica Edwards. Mrs. Brennan is an affiliate member of the Royal Academy of Dance and currently teaches modern dance classes at Verdi Academy of Dance.